But one would be wrong for saying such a thing, of course. Dead wrong. 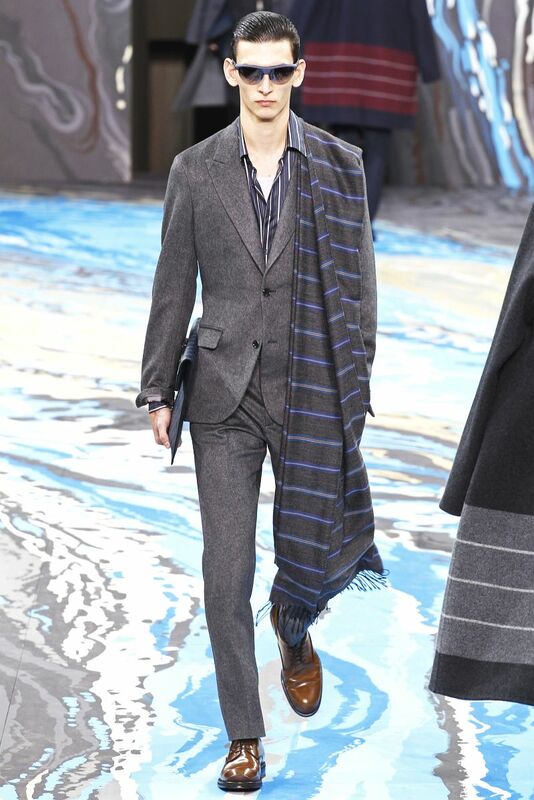 The Mankets touted on the runways during Men’s Fashion Week were ornate drapings, hardly befitting comparison to their humble, snuggly, much beloved cousins Blankets. But all kidding aside, some of these pieces blew me to pieces; elevated to the status of Quantum-Mankets- transcendent Blanket/Manket beings who refuse to stand in any fixed point on the Blanket/Manket continuum. So before I make any rash Manket statements, let us descend further into the wintry rabbit hole where the Manket-beasties make their lair. This model is clearly on his way to finishing school for Guidos, with a face full of clear disdain for his Manket. Worn with what one could only describe as an “I could care less if this Manket fell into a frothy pool of swill” attitude, this thin stripy piece scores a couple points for using accents of what can only be Pantone 18-3224. Caught in a soft flowing cubist cloth fantasy, this Manket is all Mank and no Bla. Perhaps some dimensional tide caught this time- surfer, resulting in a warped quantum-event that caused his vestments to bloom like a geometric flower. Plus- the recursive stripey-ness of the thing is too much for the human mind to withstand. Heck- stripes on stripes on stripes is probably even too much for most sane Zebras. And here we have what can only be described as a “couture blanket delivery vessel-” a Manket that is borne rather than worn. This upstanding young gentleman is quite clearly using this lovely felted leafy print blanket as a means of carrying a bushel of delicious ribbon candies to his dear mama who lives at the edge of the marzipan forest. We can be certain that this be no Manket. This Manket is the slithery appendage of a hideous mind sucking alien in the bag. Despite being a harbinger of doom (or perhaps exactly because), this Manket wins us over with its bold geometric swaths, rich golden flecked ochre, and blood blood red. 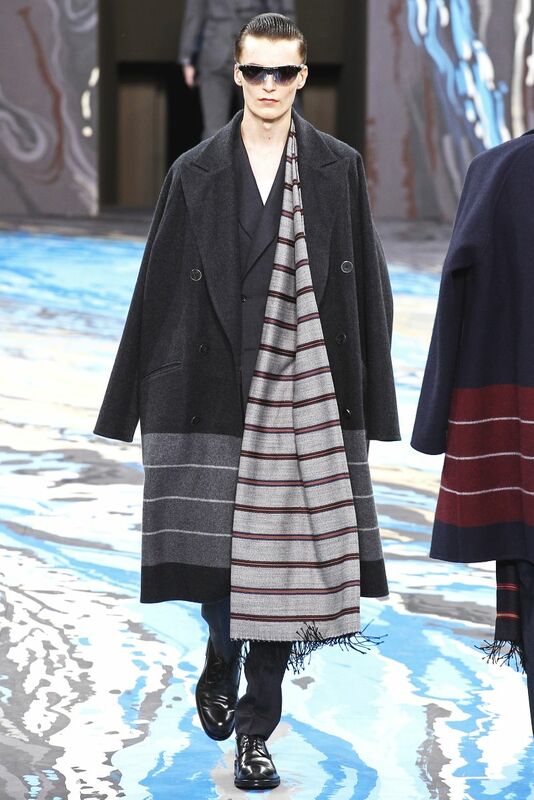 Missoni really drove it home for me with this powerful peace, worn by one of the most ancientest vampires. His venerable cloak is woven from mysterious fibers produced by his pet gyk spider. More durable than steel and light as a feather, you can wear this straight off the carpet and right into the after party! With impending climate change and bleeding edge technology forcing our fashion habits in ever extreme directions, I can only see good things for the future of Mankets. I look forward to what those nimble weavers of dream-cloth conjure up for us next.